So after some sanding on the bottom and sides to do a little flattening and rust removal, I worked on the frog. Once I flattened the areas on the frog, I put sticky sandpaper on the newly flatten surfaces and flattened the mating surface on the plane base. Here are a couple of shots of the whole plane after I worked on it. I started at 100 grit, went down several grits down and did a final polish with some 600 wet dry I had laying around. Then I did my first test run. I got crumpled shavings and a lot of chatter on the first pass. So I pulled out the blade and chip breaker to see if I could see light between them and sure enough, I still had some light peeking through. 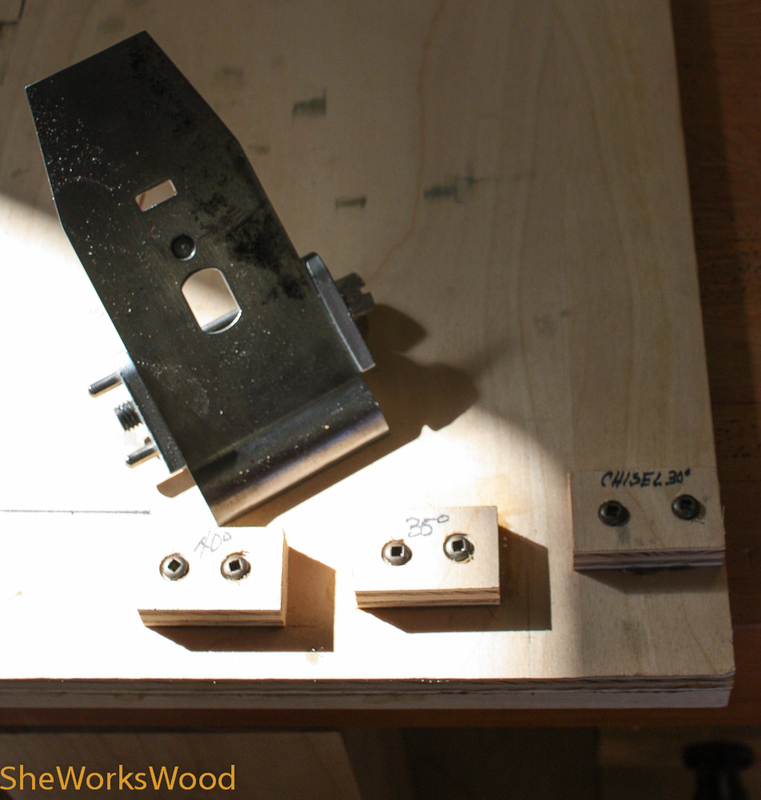 I took the chip breaker, clamped it up in my honeing guide and made some more passes over the sand paper. This time I got nice ribbon shavings and a lot less chatter. I might need to work with the chip beaker some more to get all the chatter out .. we’ll see on I get my workbench back in operation. I added a shot of the honing guide set to 35 degrees. I used this to get an even edge to mate with the blade. PS. please feel free to make suggestions. After all, that’s what all this blogging is about, right? This entry was posted in jointer plane, tool, tool repair and tagged jointer plane, tool reha. Bookmark the permalink. Nice work. 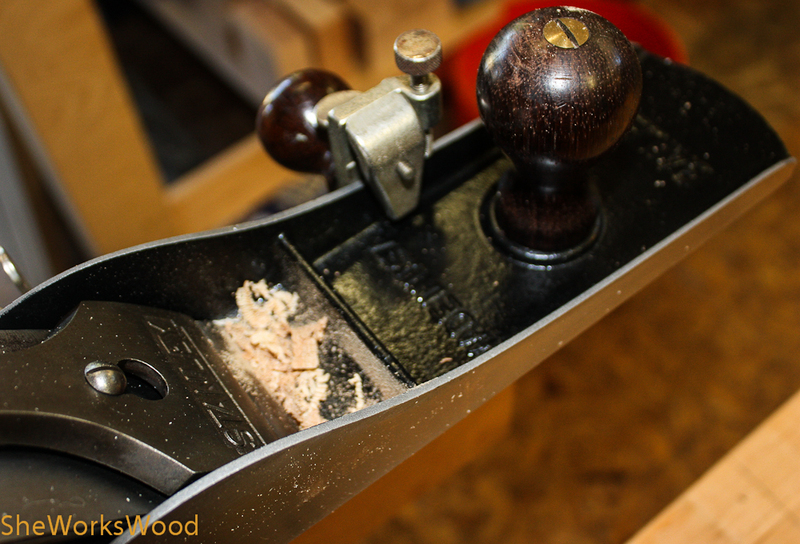 I love hand planes but the work to get an older, unloved one to working condition can be a lot. How are you using the honing guide to improve the chipbreaker? I trashed all my original blades/chipbreakers and picked up some Hock’s. Nice and beefy! Yup! that might end up being the solution. So you’ve like Hock’s blades? Wonder how the compare to the IBC (Cosman’s), Lie Neilsen and Lee Valley. Am I mistaken or isn’t the photo indicating that you are working the curved surface that the shaving hits against , i.e. the top surface of the chipbreaker? Working that surface doesn’t help the bottom surface of the breaker to mate tightly with the iron. No, I was working the edge that mates with the blade. 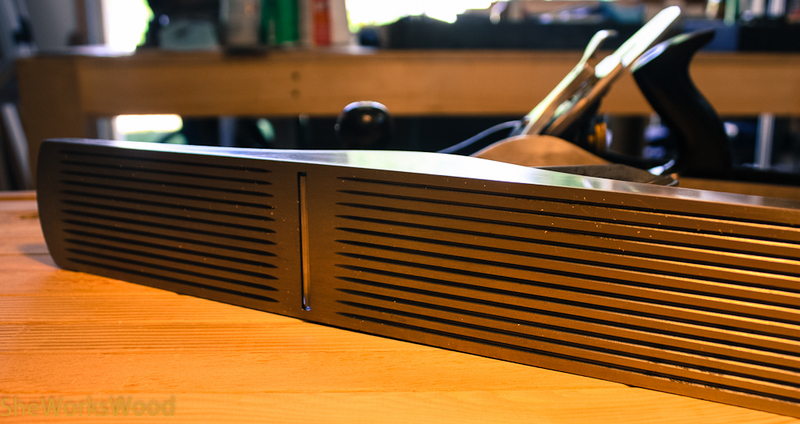 I also flattened the back of the blade. 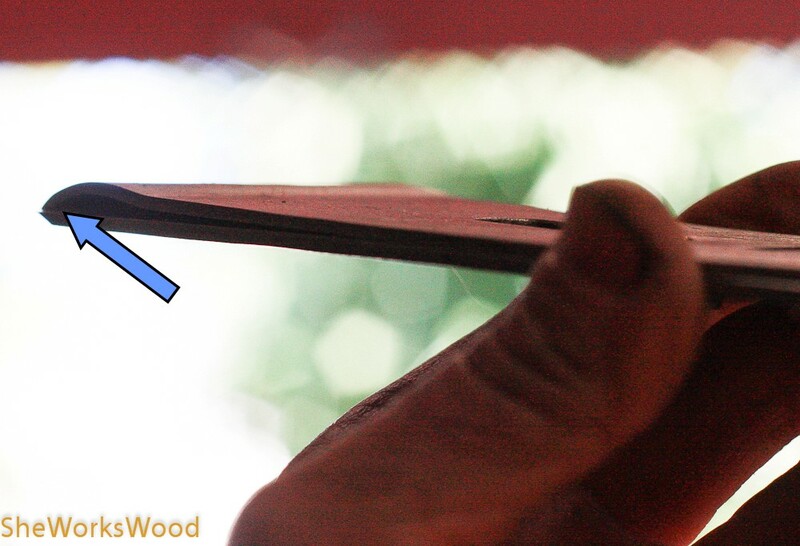 The arrow in this picture shows the two edges that I was working to flatten. When the gap between the back of the blade and the bottom edge of the chip breaker shows no more light between them, I’m thinking I’ve gotten them to match. I agree, no light, then good fit. At 4:00 he deals with flattening the underside of the chip breaker. Do you see what I mean about the honing jig? Tico Vogt! thanks for the video link. That’s a good one and I added to my post. 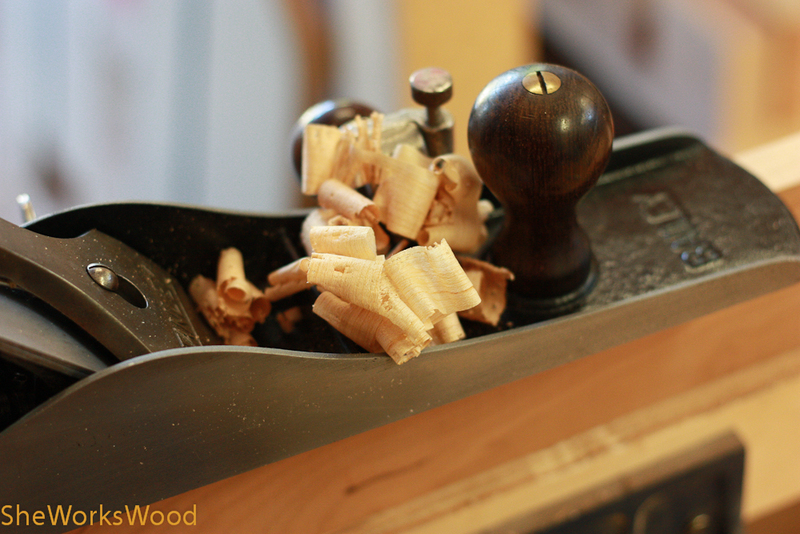 It’s really gratifying to restore an old crusty plane to proper working order. 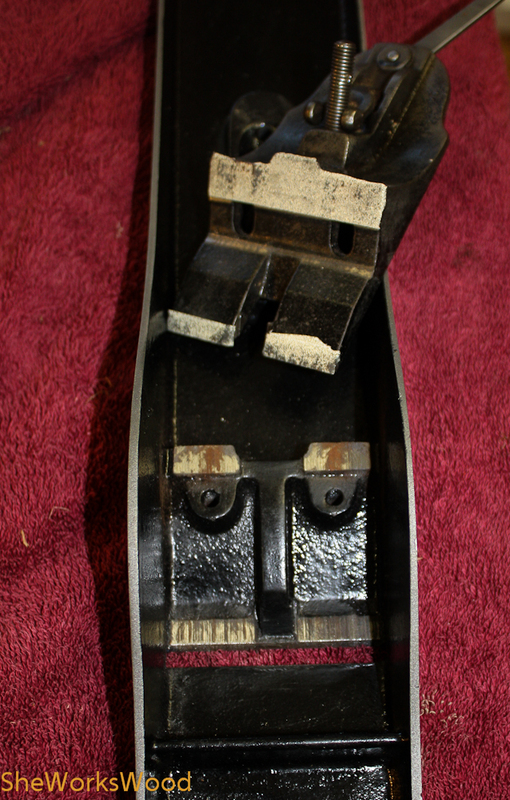 I have a 4 1/2 heavy smoother that I picked up a while back that I need to clean up myself. I have an IBC blade and chip breaker setup that I’ll use in that one. A few other projects ahead of that though. I’ll say you do. Can’t wait to see how your float and plane(s) turn out.